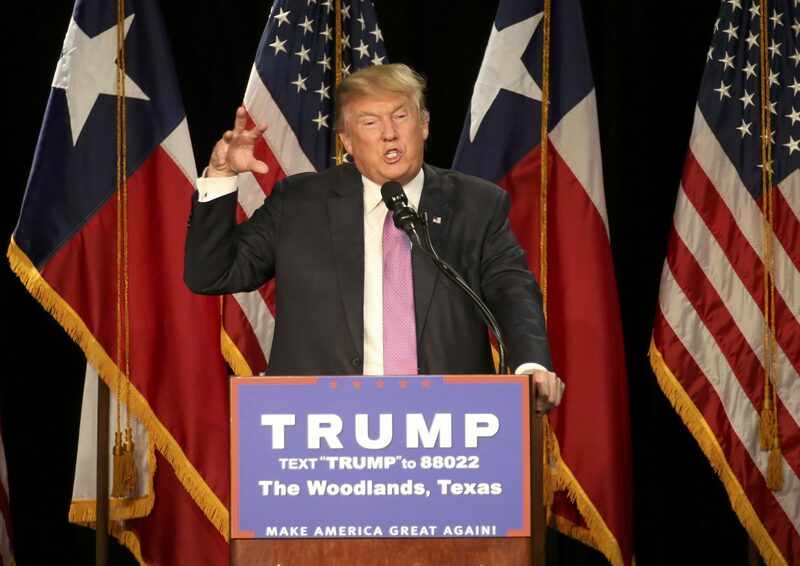 Donald Trump went on a rant at a rally in Woodlands, Texas, Friday night about winning. "Folks, we don't win anymore. Right? We don't win anymore. We don't win! We don't win on anything. We don't win on trade. We don't win with the military. We're gonna knock the hell out of ISIS. By the way, we have no choice. We have no choice," Trump yelled. Trump said that the U.S. will "start winning again" under his leadership to the point where "people are gonna get sick of it." "You're gonna come up, and they're gonna call me up from Texas, 'Mr. Trump, sir, you have thousands and thousands of calls from Texas. They're all your friends. They heard you speak one night. Mr. Trump! They're very upset. President Trump, they're very upset,'" Trump said. He said he will get "thousands and thousands of calls from Texas" from people upset with him because he will be "winning" every single issue. He said people will say, "'Everything is a win. You're winning on trade. You're winning at the border. You're winning with your military. You're winning on health care.' We're gonna repeal that horrible stuff and replace it," Trump said. At the rally, Trump said he thinks the GOP is starting to like him. According to a CBS News poll released this week, 43 percent of registered voters back Hillary Clinton and 37 percent support Trump for president.